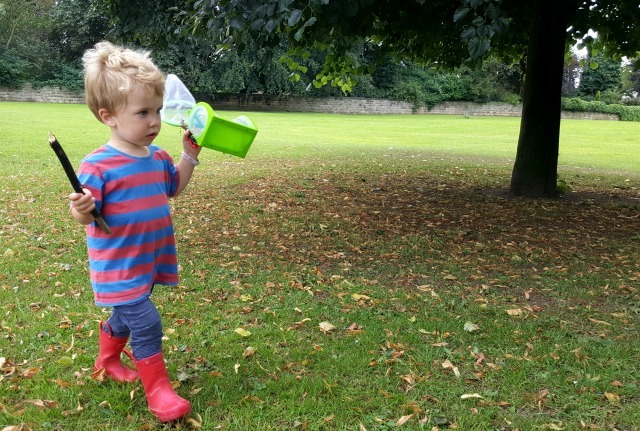 Exploring Nature with Children is written by Lynn, a mother, homeschooler and blogger from Lancashire. 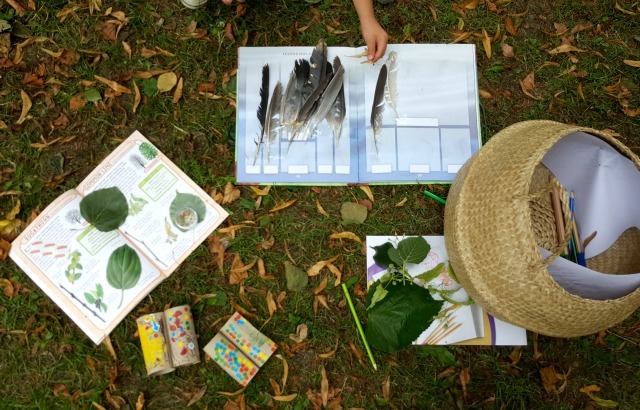 It is a complete, year-long curriculum, designed to guide you, step by step, through an entire calendar year of nature study. The most incredible thing about this year-long guide is that it is relevant for all ages, and can be used year after year. All of the study can be built upon and built upon. 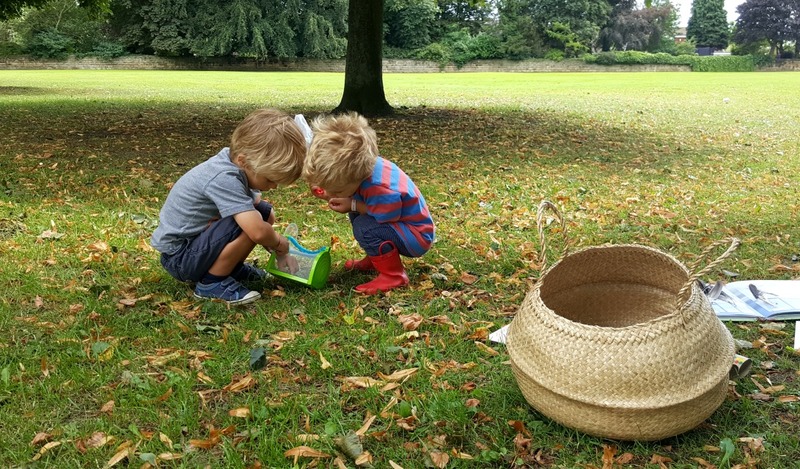 My boys are young so tree rubbings, nature walks, basic discussion, collecting things for their treasure box and making observations are about the limit, but Lynn also includes poems, an extensive further reading list, artwork to enjoy, plus lots of extension activities and crafts to really spark interest. 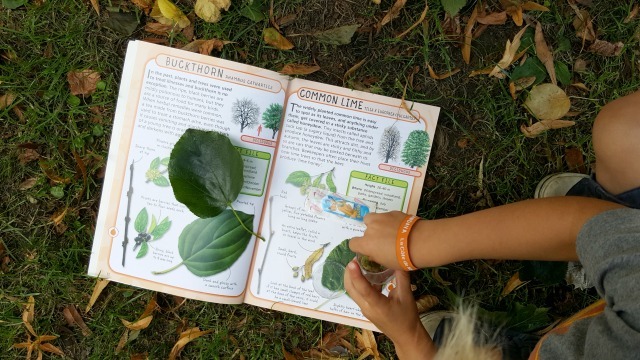 The guide begins in September (but of course you can start using it any month, or week of the year), and includes a whole range of activities for each of the 52 weeks of the year, plus a weekly nature walk. I like to see what the weather is going to be like, then choose a topic. 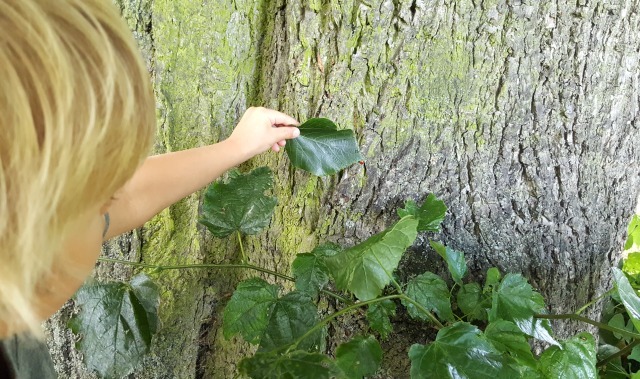 For our ‘Summer Tree Study’ week, we walked to a local spot to observe some trees. We talked about the shape of the canopy and Win attempted to sketch the shape of the tree. 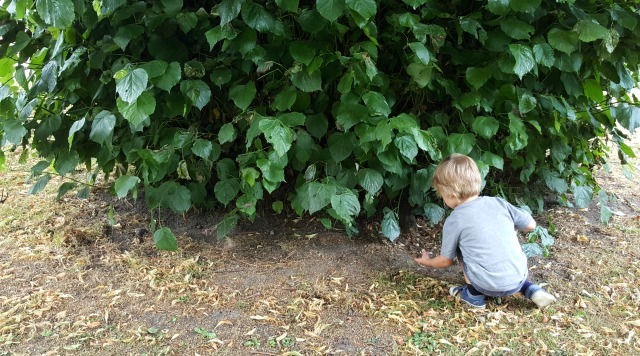 We looked around for seeds, leaves, fruits and pieces of bark. 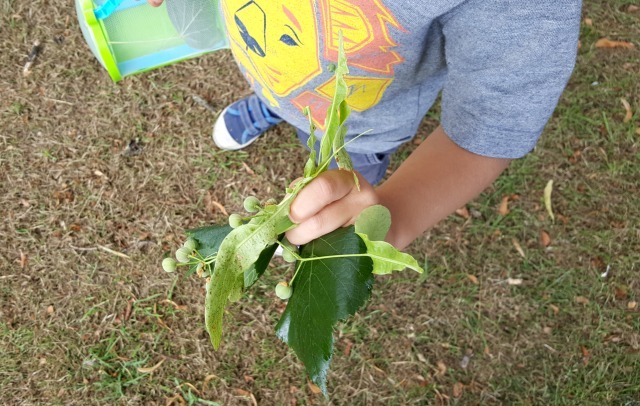 We made a rubbing of the tree bark and collected fallen leaves to take home with us. 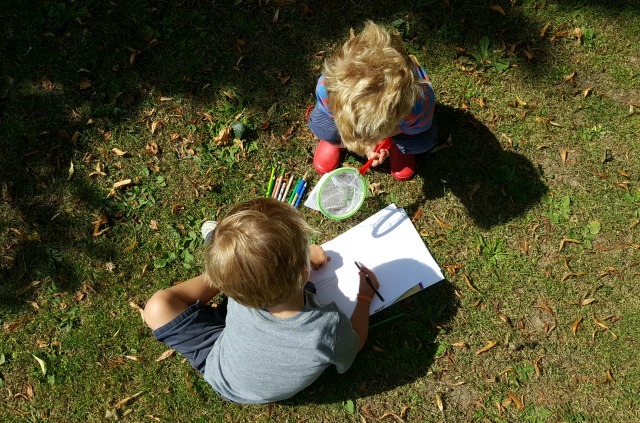 We took a maginifying glass, binoculars and Win’s ‘bug catcher’. 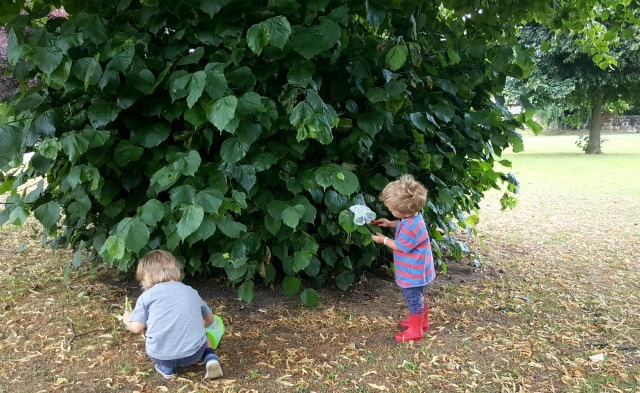 We looked for signs of animals living in the tree and took a book to help us work out the name of the trees…then it just turned into a ladybird hunt. 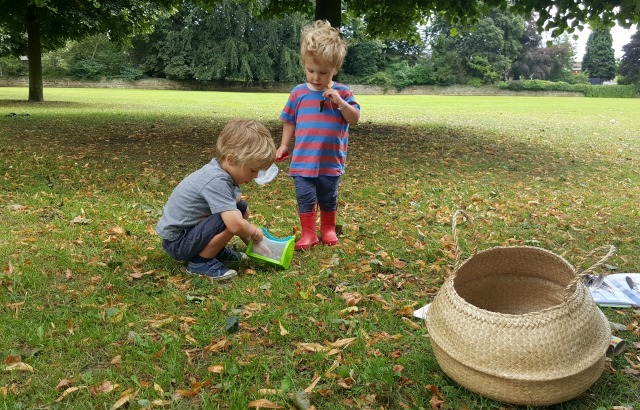 For older children; there is an invitation to think more about what lives in, and on the tree – how do these effect the tree? and how to the animals find shelter there? Write an acrostic poem about the tree, and write down words and phrases that describe the tree. Lynn wrote the nature guide primarily for home educating parents, but it is perfect for any families that want to spend more time outdoors and explore nature. The guide is gentle, and totally unique. 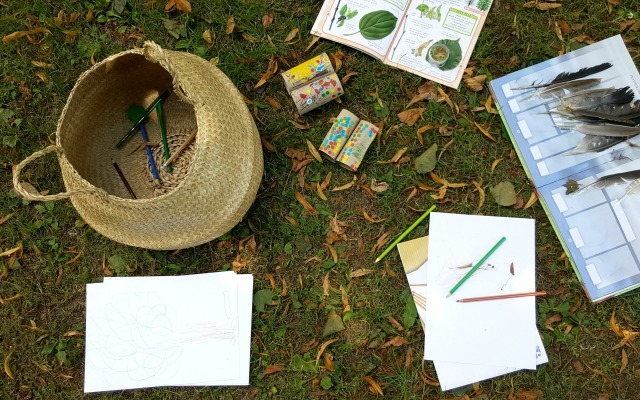 Your ‘nature sessions’ can take an hour, an afternoon, or a whole day, and you can even use your own garden for your weekly nature walks. You can find a list of the contents it covers here, and I’ll think you’ll be surprised how vast (and comprehensive) it is. Lynn is very kindly offering 20% off the guide to readers of my blog. Just use the code INSIDEOUT at the checkout. The discount code is valid until the 1st September. I’m really hoping that Lynn finds the time to publish it as a book one day, because it really is a family treasure. Hedgehogs Don’t Live in the City! This sounds great. We spend a lot of time outside anyway but I do intend to home educate for a year in the future, so I’ll be having a look out for the book then. Love this Esther… It sounds right up our street! 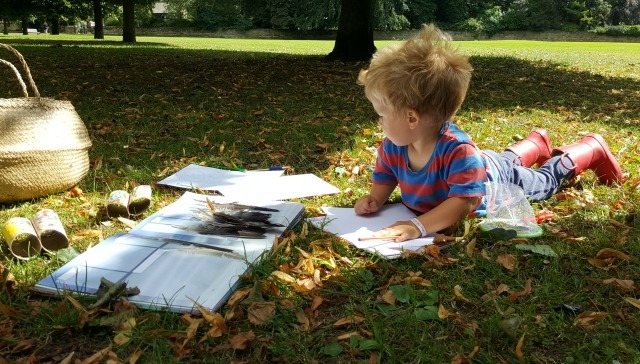 We’re big fans of collecting and gathering and nature journaling round here! Pure fun! can i know what is the picture book you were using in the above picture? 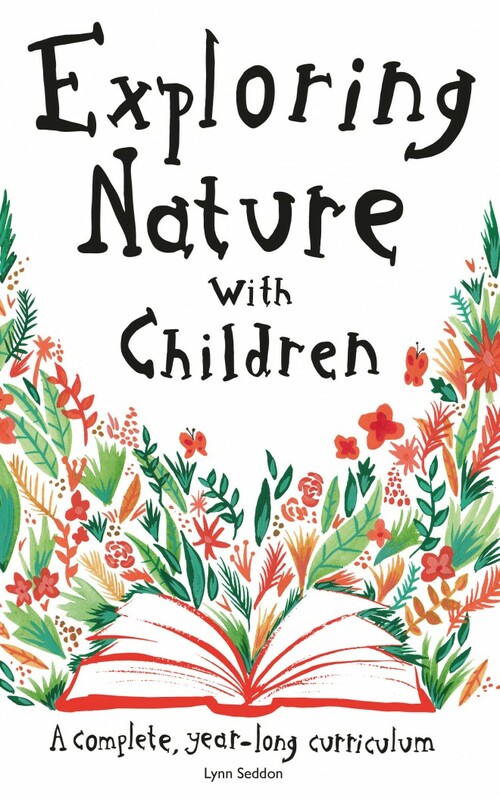 Is it the same book explore nature with kids or different one? still looking for the name of the book which has common lime and buckthorn pages ..